This entry was posted in Uncategorized and tagged Arborio, Bomba, Chicken, Chorizo, Clam, Cooking, Dinner, Food, Mussel, Paella, Paellera, Peas, Pepper, Peppers, Recipe, Rice, Seafood, Shellfish, Shrimp, Sofrito, Spain, Spanish, Spice, Squid, Summer. Bookmark the permalink. Thank you! 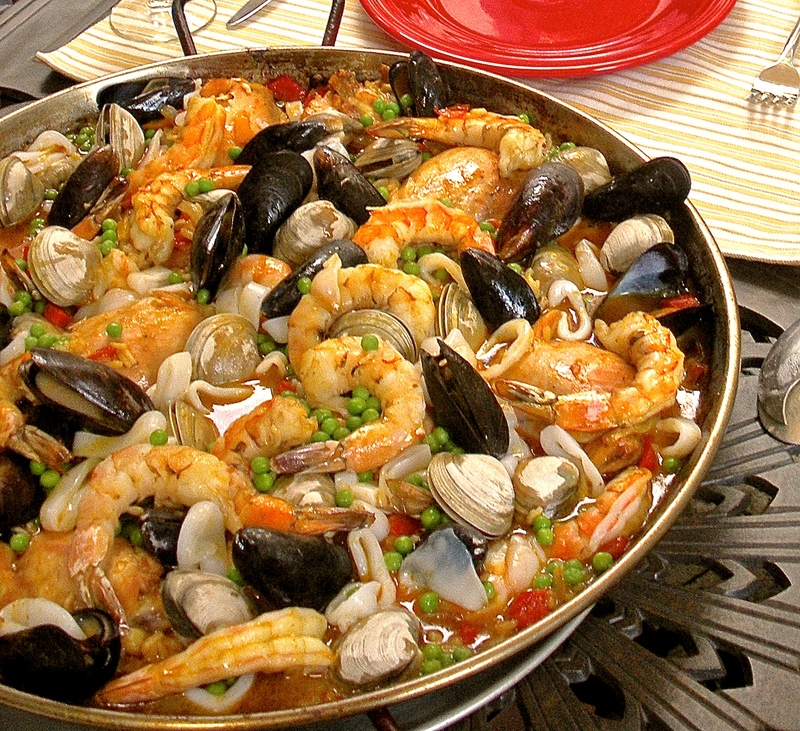 Paella is one of my favorite dishes to prepare. Thanks for visiting – I enjoy following your blog! Thank you! Yes, you should make a small portion for yourself! Or, as long as your guests don’t have food allergies, you could serve them the parts of the paella that they enjoy…either way, have fun with this dish. Also, I checked out your blog and enjoy your posts and photos!